Willow View Cemetery is Dayton, Ohio’s locally owned and operated cemetery. We help families put their loved ones to a final resting place. At Willow View, we have a team committed to walking with you step by step through the process of picking the right grave space, burial method and markers for your loved ones. Also, we make sure your wishes are performed in a manner that is in accordance with you and your loved ones’ beliefs. We established our cemetery in 1897 to offer a much needed service in the community. We are constantly expanding in the area and have a range of lots to pick from for your beloved’s final resting place. Our family cemetery is priced for residents in our neighboring community. Our dedicated staff members are friendly, empathetic, and understand the situation to assist you in the best possible way. We have several burial options available: standard burial (earth burial), below and above ground cremation burials. To complete the burial process, we also sell essentials such as concrete burial vaults, monuments and markers. 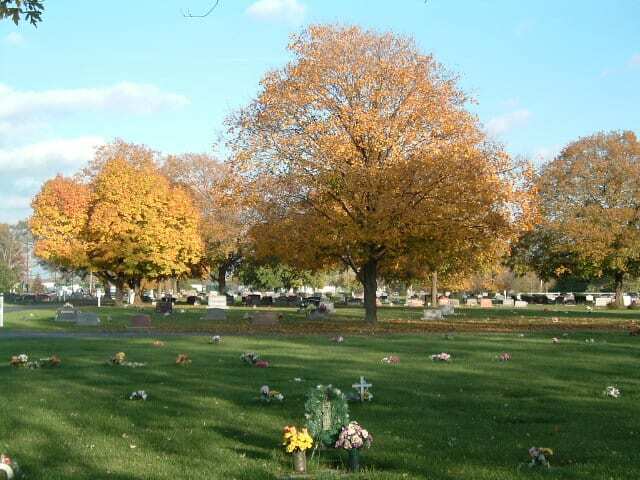 Willow View Cemetery is licensed throughout the state of Ohio. Our cemetery has been functional since 1897 to current date. We have had the honor to peacefully lay to rest over 15,000 loved ones. At Willow View, our staff is trained at handling grieving family and help them through the delicate process of burial. We have a compassionate team to provide with one-on-one consultation to individuals and families and understand their requirements. We give our undivided attention to the final journey of your loved ones. We honor your beliefs and complete the process with utmost dignity. We are Ohio’s 19th century cemetery and work with the surrounding community. We are also a member of the Ohio Cemetery Association. Willow View Cemetery provides services at affordable prices. We are constantly adding new land and services at our cemetery. Contact Us & Learn More About Our Services.